If you are or have ever been a fan of The Justice League than this year's New Jersey Comic Expo (NJCE) is one you cannot miss. 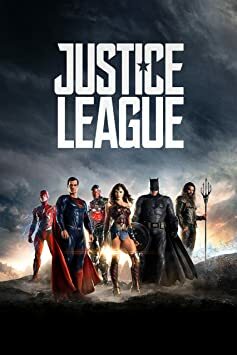 Not only is the film coming out on November 17, right before the NJCE and the co-creators of the most famous group in the DC universe will be on hand November 18. 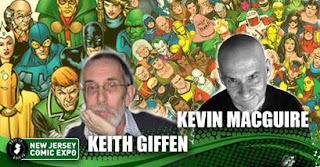 Keith Giffen and Kevin Macguire will be in attendance Saturday to hold a panel where they will discuss their history with the franchise, from their debut on the JUSTICE LEAGUE series in the 1980’s and their work on JUSTICE LEAGUE INTERNATIONAL, JUSTICE LEAGUE EUROPE, and JUSTICE LEAGUE AMERICA, as well as their more-recent work with the team. Past guests have held some memorable panels such as Jeff King's last year, and Garth Ennis the year before who is also back for the 18th. If you want to tap into the mind of two men involved with what could be one of the best DC comic movies ever, you might want to plan your weekend in New Jersey.